The most popular cities and towns to study in the UK. Are you interested in studying in London, Manchester, Edinburgh or Dublin? 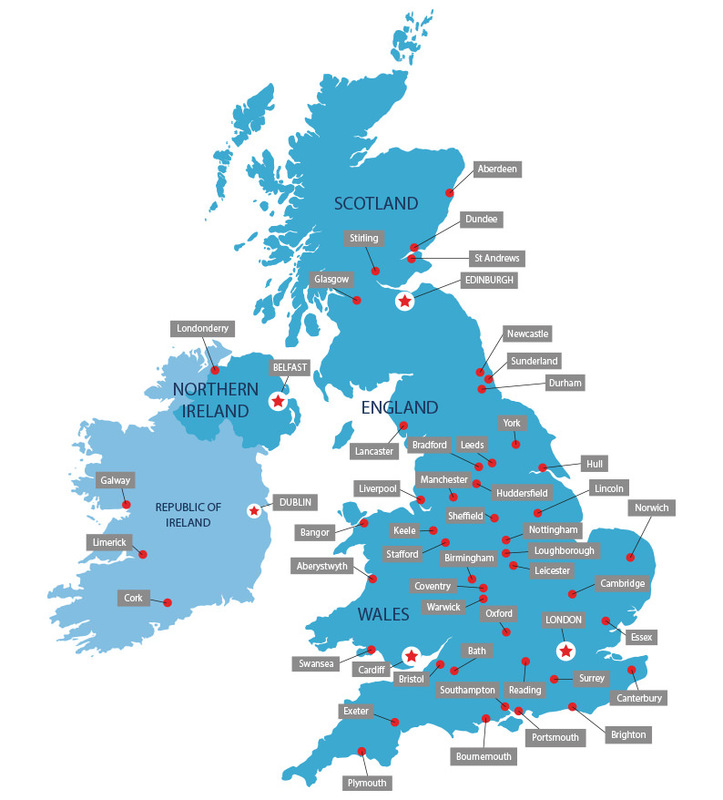 Arrange your free consultation today to find your perfect study location in the UK.